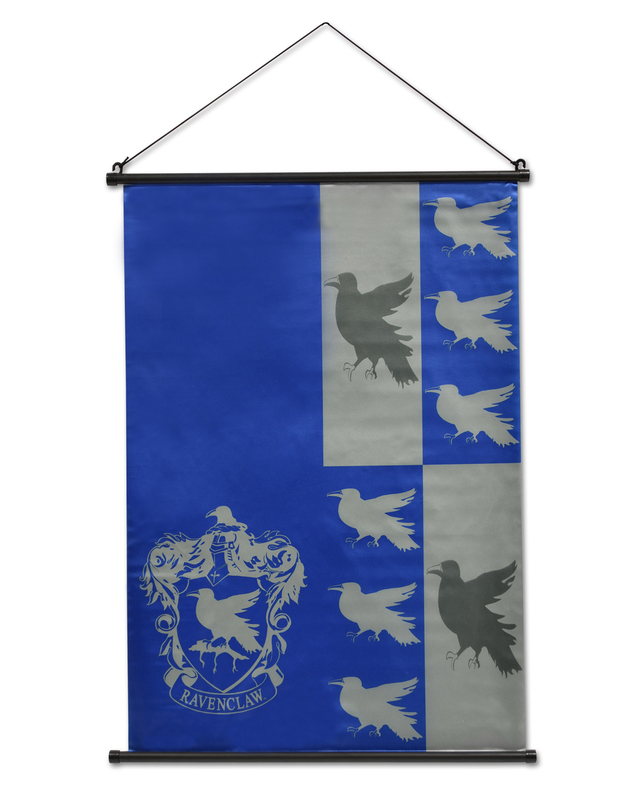 Show some House spirit with this fabric wall scroll from Harry Potter! The heraldic pattern features Ravenclaw’s mascot, the raven, on a blue and gold field, and will add a magical touch to any room. 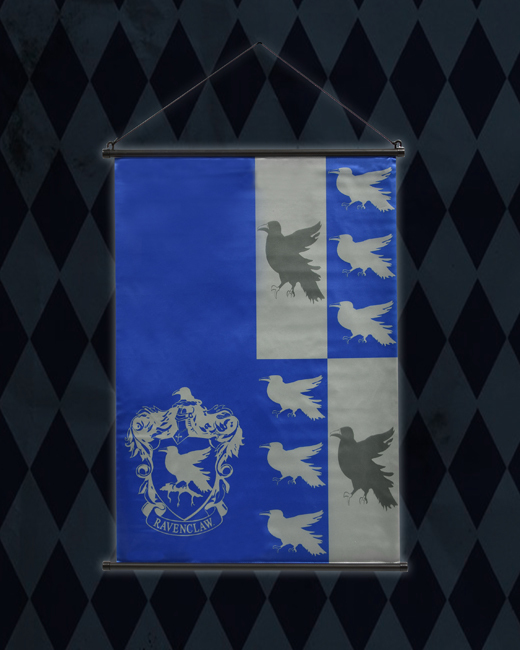 The scroll measures 22×32″ and has plastic rods at top and bottom to keep it hanging straight.